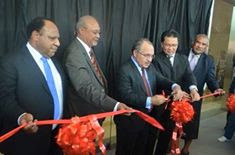 Papua New Guinea Prime Ministerr Peter O’Neill opened the K140 million Central Government Office Building yesterday. Mr.O'Neill said Papua New Guinea needed such a facility to showcase itself to the world. 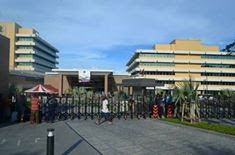 In January, he opened the K90 million Sir Manasupe Haus (Pineapple Building) across the road, which houses the offices of the Prime Minister and National Executive Council. O’Neill said PNG, like many countries in the world, needed a centre of government. “Parliament is not a centre of government. It is the centre of the legislative assembly. The other arm of government is the judiciary where the court house is,” he said. “But the Government’s home centre has been played everywhere in Port Moresby. O’Neill said that outcomes of the “magnificent work” of the developer Central Land Limited were there for everyone to see. “You can see the outcomes of the magnificent work that they have done,” O’Neill said. He said the careers of many Papua New Guineans started in the building. “Some have gone on to play leading roles in our country, including that of holding the office of the Prime Minister,” O’Neill said. He said he had spent many years in Waigani, including five years as minister for public service and five years as PM.